Augie Nieto was lying in a hospital bed when his son told him he was no longer his hero. It was 2005. 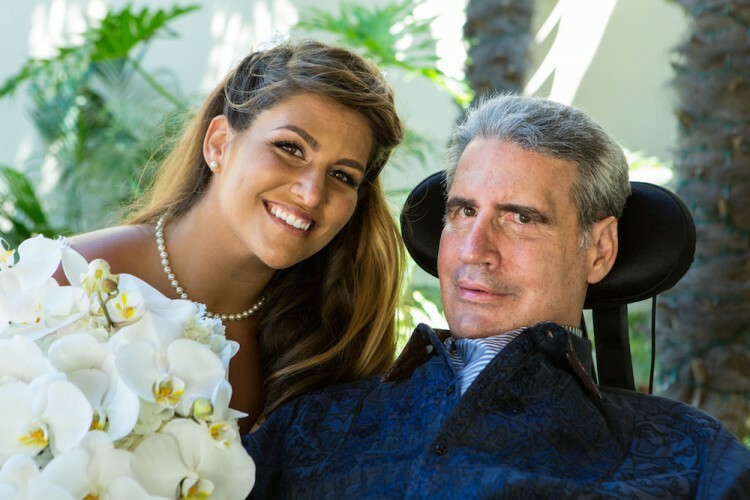 The then-47-year-old had just been diagnosed with amyotrophic lateral sclerosis (ALS or “Lou Gehrig’s disease”) and come to this conclusion: He’d rather end his life than become a burden to his family. In the next three years, he lost leg and arm use. Today, he communicates with facial motions and a device he controls with his feet. But he’s outlived the disease’s 2-to-3-year life expectancy. After diagnosis, he assumed he would miss important family milestones — graduations, marriages, grandchildren. He’s gone on to watch all four of his kids get married and witness two grandchildren’s births. And in 2007, he and his wife, Lynne, cofounded Augie’s Quest, an organization that’s raised more than $40 million for ALS research and drug development. Still, when his youngest child, Lindsay, 25, was preparing for her wedding this past July, Nieto had to wonder: Would he spend the day celebrating her marriage or mourning that he could not walk her down the aisle? He decided the latter wasn’t an option. 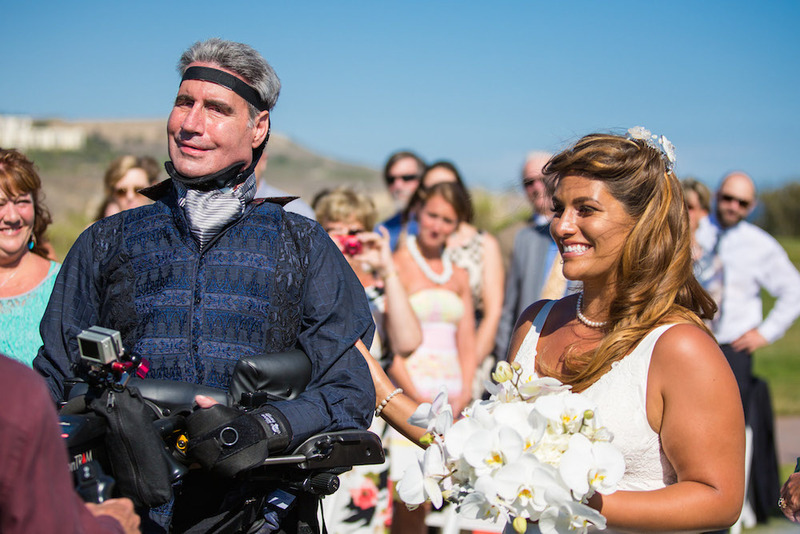 On his daughter’s wedding day in Rancho Palos Verdes, California, with a device helping him stand upright, Nieto walked her down the aisle. You can watch footage of the moment in the “Today” segment below. Nieto exercises every day to gain strength and maintain the strength the disease has not yet taken from him. He completes intensive workouts with therapists at least three days a week, according to the Detroit Free Press. He stays positive simply because “there is no other way,” he told The Mighty. If you’d like to make a donation to Augie’s Quest, head here. For more information on the organization, head here.